This isn’t related to Amtrack, but I saw silver line discussions earlier. I saw where there is a feasibility study for the red line to Davidson. What is the status of the silver line, and other Light rail studies? Last I had heard, legislation was passed at the state level that was going to make it really hard to keep building light rail lines. Is anybody well versed on this? The Charlotte Area Transit System Tuesday unveiled detailed options for light rail to the Charlotte Douglas International Airport, rail or bus to Lake Norman, and a possible tunnel through uptown Charlotte. So evidently that article was in the paper today, and I found it right after I posted. I do have a degree in physics as well. It only gets more expensive and I don’t see Charlotte losing population anytime soon making the need for this sort of transit of greater and greater need. I am no expert on all things trains but I do love their history (both in the general sense and more specifically the labor unions and socialist history of Eugene Debs) and just how they work-the two parallel (hopefully) steel beams and switches and sidings and all the infrastructure. Amazing stuff. train tracks run east-west from Asheville-Hickory-Statesville-Salisbury and north-south from Winston-Salem-Mocksville-Mooresville-Charlotte. These two lines intersect near Cleveland at Barber Jct, which is the only full diamond crossing in the state (the lines cross and grade and there are turns at each of the 4 corners). A train in Moorsville most likely started from Salibury (or Statesville) and at Barber Jct took the line south to Mooresville and switched some industry there and then proceeded back north to Barber Jct and then back to Statesville or Salisbury. It may have spent some time north of Barber Jct heading towards Mocksville and switching industry here as well. Basically Salisbury (or Statesville) to Barber Jct to Mooresville and then return. I think the rail through Davidson last saw a train around a decade ago and was shuttered (but not abandoned) about 3 or 4 year ago. two big takeaways… #1) Very informative, good background #2) With all of this train knowledge pulsing through my veins, I feel further away from getting laid than I have at any point in my life. Good lord…please tell me THAT degree is not from App. 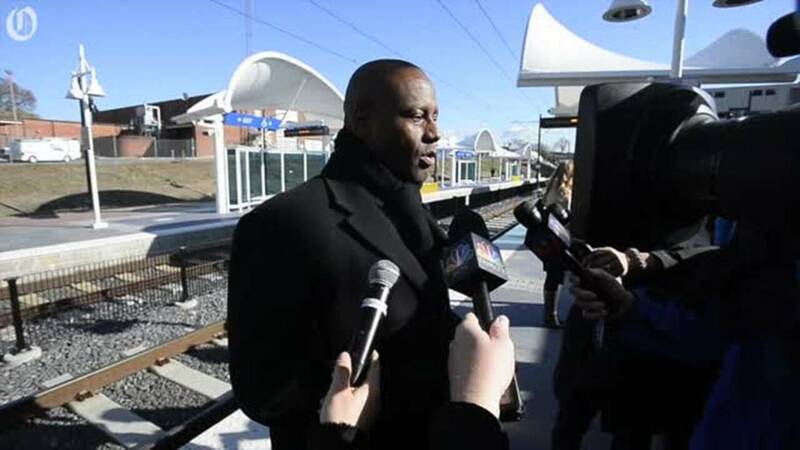 State legislature said they’ll only pay for light rail if the local and federal funding is already lined up… the trick is, they know feds won’t commit funding until the local and state funding is already lined up. New state budget language holds back more than $200 million in funding for the planned Chapel Hill-to-Durham passenger rail project until federal money is promised, a potential road block for the $2.4 billion plan. Language in the budget technical corrections bill lets the project move forward, Sen. Floyd McKissick says. Yep, App has one of the biggest Physics departments in the country in terms of awarding Bachelor levels degrees and not have a PhD level degree awarded. I don’t care to turn this into an App discussion, as I would prefer to keep it about trains and transit, but App has some great science departments. Our pre-med majors do well above average when they enter med school from what I have read. App owns the largest telescope in the state and is part of the Dept of Physics and Astronomy. I am a guest here so I am not going to get in a back and forth on this. Suffice it to say App physics and App science in general holds its own and then some. I think the residents of that area passed a property tax increase a year or so ago to help pay for this. That might be considered good enough for the state. Though the idea in Raleigh is not something I support and I feel dirty just typing something that cold be construed as supporting the leaders in Raleigh. I was expecting this much, much earlier in the thread. 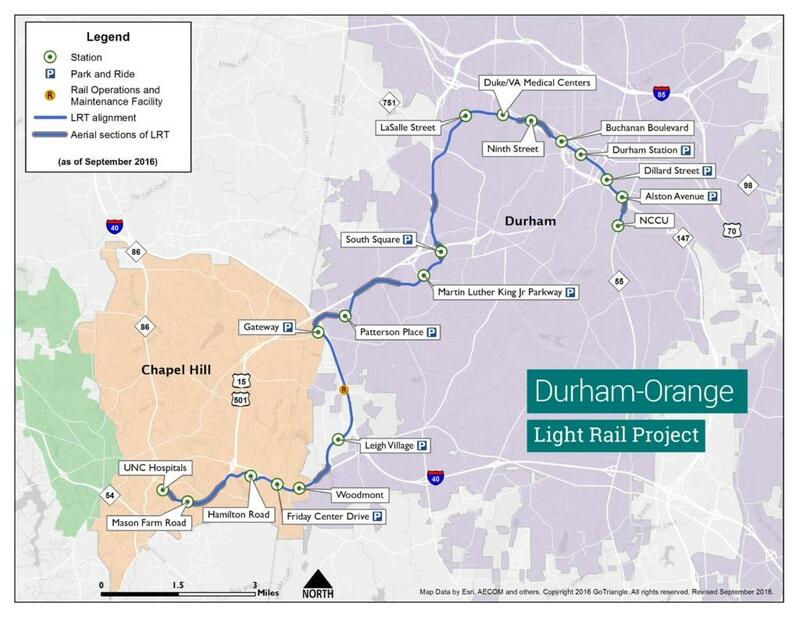 I think it is going to be a light rail down 54 from Chapel Hill into Durham. I am not sure of the exact route but it will not be the rail line that runs from the stream plant at UNC-CHeat through Carrboro and conects to NS in Glenn, which is west of Durham. That route is too far out of the way, which is a shame as the cost of building a new line is so much more expensive, as you know in Charlotte. Greensboro has a rail line that ran from Sanford to Greensboro to Rural Hall. The line was removed in the late 70s or so from Rural Hall to north Greensboro wher a huge Sears warehouse used to operate. That part from the line was down to one customer and last year that customer (a cemant plant) was purchased/moved. The part abandoned in the 70s has been made into a nice walking/bike trail. The intent is to do the same with the remaining rail ROW. The rail runs right downtown which is a restaurant/small retail/night life area now with a growing living space. The north ends stops at a Target shopping center and passes by another restaurant area. This would be more like street car line in Tampa in that it would be more useful to move folks from one consumer area to another, and not so much for commuters getting into downtown jobs. But once gone there is no going back and at some point in the future this could be a great asset for the city. One problem is that Greensboro has one of the best road systems in the country for getting around. The incentive is not there to act now. clt loves the train talk. McAppfan says to start it up. There is a rail freight yard inside Charlotte-Douglas so there is the starting point . I am a huge proponent of public transportation. However, I wish cities would pursue Bus Rapid Transit (BRT) instead of Light Rail. The infrastructure is significantly less expensive and the product is just as effective. BRT is interesting to me. Don’t know too much about it, but if executed correctly, seems like it could work (however, looks like more international cities utilize this than in the US). My only thought on it, is that there is still somewhat of a negative stigma of using buses (at least in the US). Ridership for CATS (buses & shuttles) have been declining. Also, ROW would be a big issue to many unless it can control the lights like the trolley will be able to. Lastly, unlike the light rail, I don’t know how much of a catalyst BRT would be towards Transit Oriented Development (TOD).